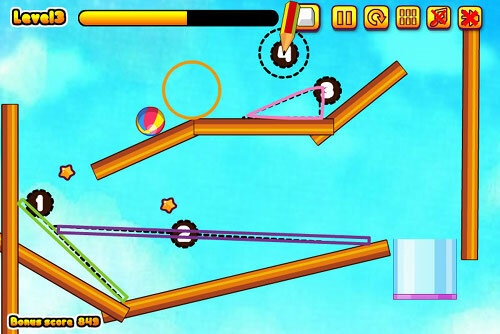 Description it's funny physics game,you can draw anything to Get the ball in the glass container. 1. Draw circle by holding left mouse button down and dragging pencil or by simply holding down left mouse button! Switch between pencil and eraser by clicking this button or by pressing the space bar. Restart level by clicking this button or by pressing "R" on the keyboard. Goal: Get the ball in the glass container. Get all of the stars by having the ball hit them.